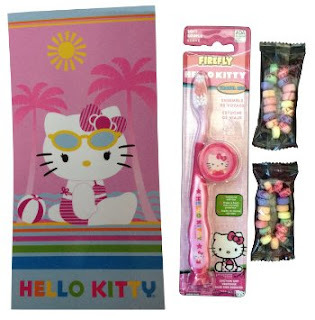 #ReleaseTheKidInYou #hellokittytowel I received 2 of the cutest things to try out this week. My grand daughter is a big Hello Kitty fan and when I received this Hello Kitty Towel Bundle I knew she would be the perfect one to try it out. It's a nice big beach sized towel, 28" x 58". 100% cotton and machine washable. The bundle also comes with 2 candy bracelets and a travel kit toothbrush set. Needless to say she is one happy little girl! I thought maybe she would share the candy bracelets, but I was wrong. 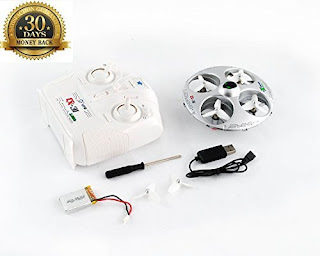 Secondly I received The Best Drone by Get Childish. The whole family has had a blast playing with it. It didn't take long to get the remote figured out, after a few crashes. It's awesome! The lights are cool and it's very responsive. It goes up down, left right just like you'd think a UFO would. Getting all the kids and kids at heart to patiently wait their turn is the only problem. It's really a lot of fun! I received bot products for free in exchange for an honest unbiased review.